IRCTC Registration : Today I am Going To Give You Some How To Tips And This Is Very Important For Every Indians To Know How To Create an Irctc Account To Book Railway Ticket Online.Now a Days Government Is Too Promoting Online Transactions With its Schemes Like Lucky Grahak Yojna and Supporting Cashless Transactions. 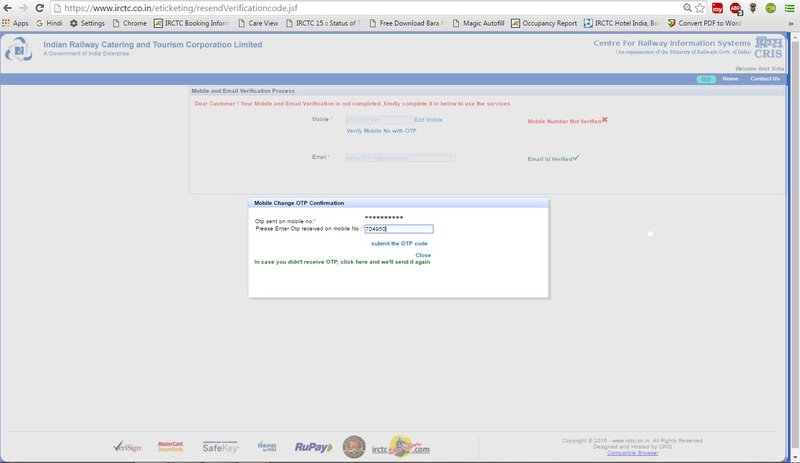 Online Railway Ticket Booking Is No More Strange So To Book Train Seat You Must Have a Valid Irctc Id. 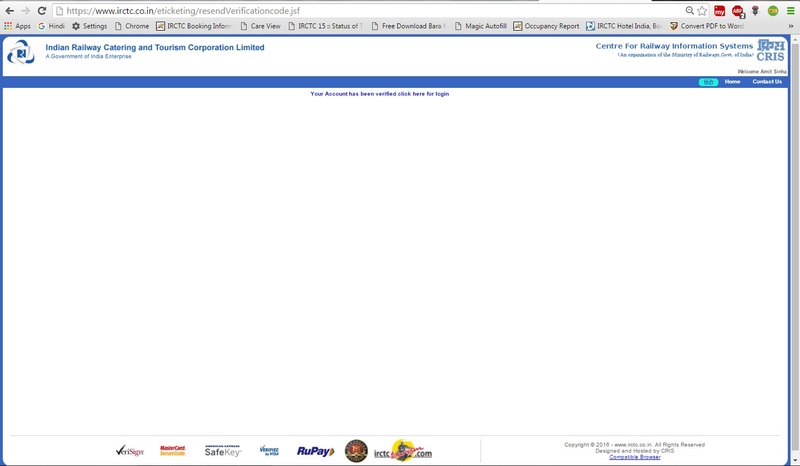 Booking A Railway Tickets Gives You a Lot Of Comfort and Save You From Standing in Long Queue Before The Reservation Counter.Irctc Is Charging a very Lowest Service Charge Of Rs 22-23 Rupees and For Online Reservations.So Why Not To Have A Irctc Account As it Helps You In every where and anywhere in this Advanced technology era. As If You Goto travel service agent they will charge much extra amount in booking normal and tatkal tickets.But i am sure you can easily book online reservation by yourself after reading my this tutorial. 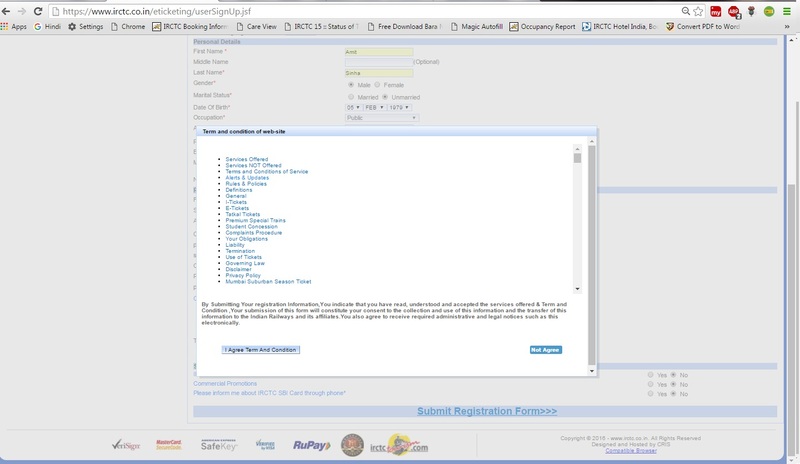 Valid mobile number and valid email id are mandatory to register as individual user. 4. 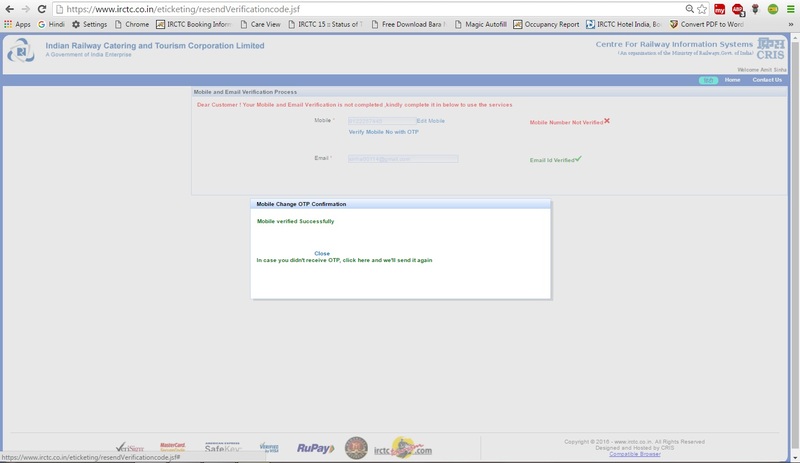 If the entered email id and mobile number are correct click “OK” button to proceed further for registration. 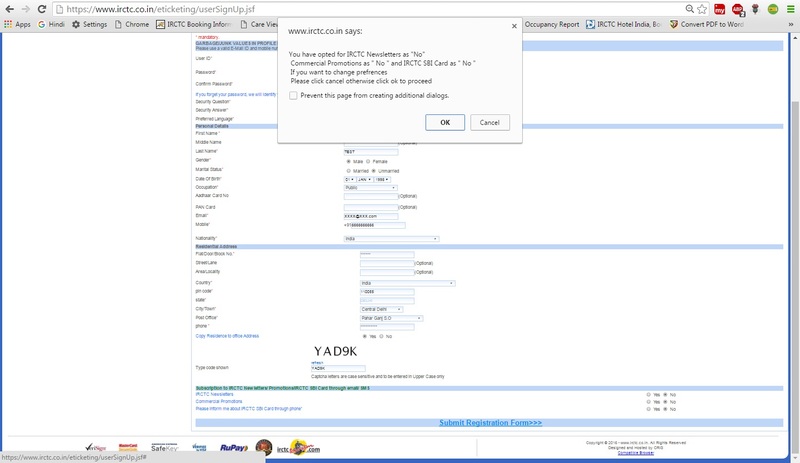 Login through the user id and password select at the time of registration.